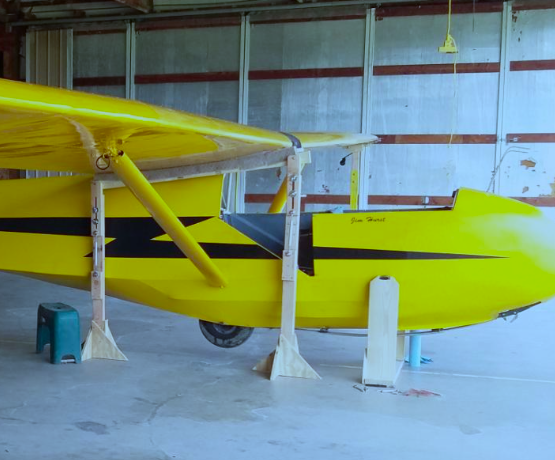 Following the CORN FIELD LANDING event described in the September 11, 2018, newsletter N2615H was disassembled and loaded onto the trailer for return to CCSC. It subsequently was very thoroughly inspected and all components were judged to be airworthy. So the Wednesday Crew reassembled wings to fuselage this past week. The cockpit and residual hardware were finished by the 4th Sunday crew and a final inspection performed to return N2615H to service. A key requirement for assembling a 2-33 is keeping the fuselage and each of the two wings aligned long enough to get all the fasteners secured. 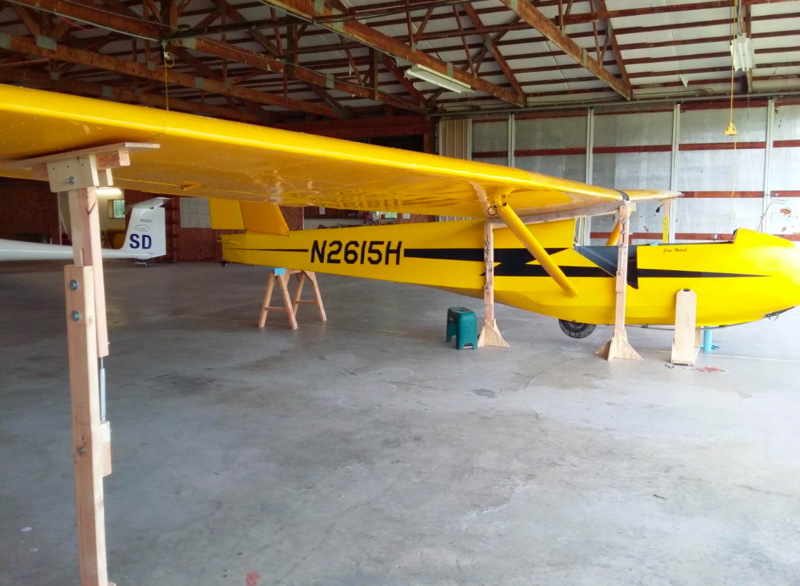 Special thanks to Steve Statkus and Keith Kilpatrick for their design and construction of custom assembly stands and special wing root allignment tools for installing (and removing) 2-33 wings and struts. In the past it took a team of about 6 or more to struggle, twist, force, beat and curse over several hours; now 3 guys can simply lift the wings into place and insert the locking bolts. GREAT JOB!